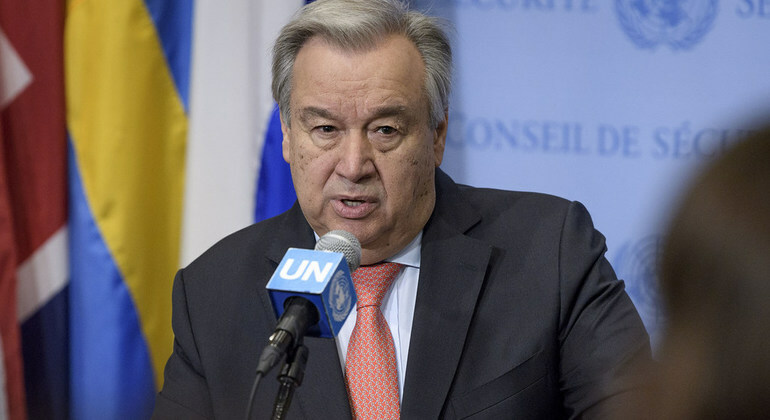 On the occasion of the International Women’s Day, UN Video is pleased to send you a video message from the United Nations Secretary-General António Guterres. 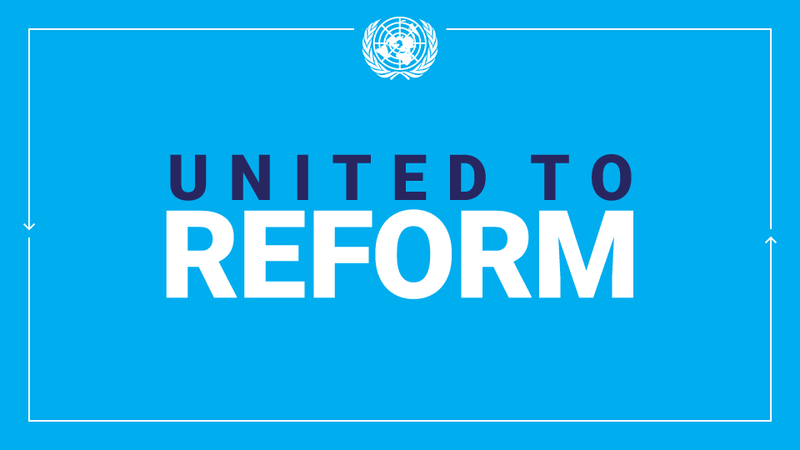 The video features the Secretary-General; Ms Amina J. Mohammed, the Deputy Secretary-General; Ms Phumzile Mlambo-Ngcuka, the Executive Director of UN Women; Ms María Fernanda Espinosa Garcés, the President of the General Assembly; and Ms Jayathma Wickramanayake, the Secretary-General’s Youth Envoy. The theme for International Women’s Day (8 March) this year, “Think Equal, Build Smart, Innovate for Change”, puts innovation by women and girls, for women and girls, at the heart of efforts to achieve gender equality. Use #WomensDay on social media to stand with the groundbreakers who are building a gender-equal future, and be part of the change. Check out our social media package with stereotype-defying visuals, GIFs and inspirational quotes from women innovators here. This entry was posted in Uncategorized and tagged #WomensDay on March 8, 2019 by Julia Dean. This entry was posted in Uncategorized and tagged #Protection for journalists on November 1, 2018 by Julia Dean. The six who face imminent execution, were sentenced for charges that the experts said criminalize fundamental human rights, including the freedom of assembly and expression. This entry was posted in Uncategorized on October 30, 2018 by Julia Dean. This entry was posted in Uncategorized and tagged #World Data Forum, data, sustainable development on October 22, 2018 by Julia Dean. The IPCC Will Release An Important Report–The IPCC Special Report Global Warming of 1.5 ºC – On Monday, 8 October in Incheon, Republic of Korea. The report comes soon after the UN Secretary-General raised the alarm about the urgent need for greater climate ambition and action in a speech on 10 September. It is an assessment of more than 30,000 scientific publications. There is no draft of the report to share beforehand, as it is subject to approval by the Panel, which is comprised of Member States. The IPCC will present the Summary for Policymakers of the report at a press conference in Incheon, Republic of Korea on Monday 8 October at 10 a.m. local time. It will be possible to follow this press conference (and for the media to submit questions) remotely, without being in Incheon in person, as it will be live-streamed see this link (https://www.ipcc.ch/ ). WMO has shared a brief providing the context and explanation of key concepts for policymakers, media and others about the Special Report on 1.5°C. This brief, produced prior to the release of the report, does not contain results from the report itself. Background: Governments adopted the Paris Agreement in December 2015, setting a target of holding global warming well below 2 ºC above pre-industrial levels while pursuing efforts to keep it below 1.5 ºC. This goal will be achieved by actions set by each government for themselves, known as Nationally Determined Contributions. The Paris Agreement includes regular reviews to see whether the target remains appropriate and whether the Nationally Determined Contributions and their implementation are on track to deliver it. An initial review takes place at COP24 in Katowice, Poland, this December, known as the Talanoa Dialogue. At the time the Paris Agreement was adopted, relatively little was known about the risks that could be avoided in a world where the rise of temperature was limited to 1.5 ºC compared with a 2ºC warmer world, or about the pathway of greenhouse gas emissions compatible with limiting global warming to 1.5 ºC. As a result, governments asked IPCC to prepare a report on warming of 1.5 ºC to be delivered in 2018. The IPCC will consider this report in Incheon, Republic of Korea, on 1-5 October. The UN Secretary-General is expected to release a statement after the Report is released. This entry was posted in Uncategorized and tagged #IPCCC Report, Climate Change on October 5, 2018 by Julia Dean. “Space Unites the World,” the theme for World Space Week (WSW) 2018 is inspired by UNISPACE+50 – a UN conference in June this year – that brought together leaders in exploration, and experts on space applications from all over the globe. In addition to promoting cooperation between space-faring and emerging space nations, UNISPACE+50 saw Member Sates pledge their collective efforts to enhance the ways space science is used for sustainable development. More. This entry was posted in Uncategorized and tagged World Space Week on October 5, 2018 by Julia Dean. 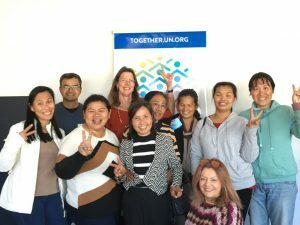 This week UNIC Canberra and the Cooma Multicultural Centre implemented the second phase of the UN Together Story Telling and media skills workshop, this time held in Bega, New South Wales. Women from the Bega community joined with us in highlighting many delightful and heartfelt stories which described individual and communal efforts full of courage and determination. The workshop was part of the overall global UN Together Campaign which promotes respect safety and dignity for refugees and migrants. This entry was posted in Uncategorized and tagged #UN Together Campaign on September 6, 2018 by Julia Dean. GENEVA (23 July 2018) – The UN Committee on the Elimination of Discrimination against Women has published its findings on the countries it examined during its session from 2 to 20 July in Geneva: Australia, Cook Islands, Cyprus, Liechtenstein, Mexico, New Zealand, State of Palestine, and Turkmenistan. The findings cover how the respective State is doing with regard to women’s rights, detailing positive developments, main areas of concern, and recommendations for action. The findings, officially known as concluding observations, can be found here. The Committee will next meet from 22 October to 9 November 2018 in Geneva to review The Bahamas, Lao People’s Democratic Republic, Mauritius, Nepal, the Republic of the Congo, Samoa, Tajikistan, and The former Yugoslav Republic of Macedonia. More information can be found here. This entry was posted in Uncategorized and tagged #United Nations Office of the High Commissioner for Human Rights, Australia, New Zealand, women's rights on July 24, 2018 by Julia Dean. New York, 20 June – A fast-changing climate, conflict, inequality, persistent pockets of poverty and hunger and rapid urbanization are challenging countries’ efforts to achieve the Sustainable Development Goals (SDGs), according to a UN report launched in New York today. The Sustainable Development Goals Report 2018 found that conflict and climate change were major contributing factors leading to growing numbers of people facing hunger and forced displacement, as well as curtailing progress towards universal access to basic water and sanitation services. For the first time in more than a decade, there are now approximately 38 million more hungry people in the world, rising from 777 million in 2015 to 815 million in 2016. According to the report, conflict is now one of the main drivers of food insecurity in 18 countries. In 2017, the world experienced the costliest North Atlantic hurricane season on record, driving the global economic losses attributed to the disasters to over $300 billion. This entry was posted in Uncategorized and tagged Global Goals, Sustainable Development Goals on June 21, 2018 by Julia Dean. Ladies and gentlemen, thank you very much for your presence. I usually come before you to express deep concerns about unfolding developments and trends around the world. Today, a bit of good news. I want to address a promising development for global peace and security. The world is closely watching what will take place in Singapore in a few hours’ time. I commend the leaders of the Democratic People’s Republic of Korea and the United States for pursuing a diplomatic solution. I also thank all those who contributed to creating the conditions for this key moment. The two leaders are seeking to break out of the dangerous cycle that created so much concern last year. 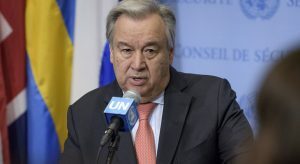 This entry was posted in Uncategorized and tagged #Secretary-General Guterres, DPRK, United States on June 12, 2018 by Julia Dean.